Illustrate how communicative participation can be the first step for aphasia intervention planning. Give examples of intervention goals that address skills and abilities, intentional strategies, environmental supports, and motivation and confidence. Explain why intervention goals may need different wording for different audiences. 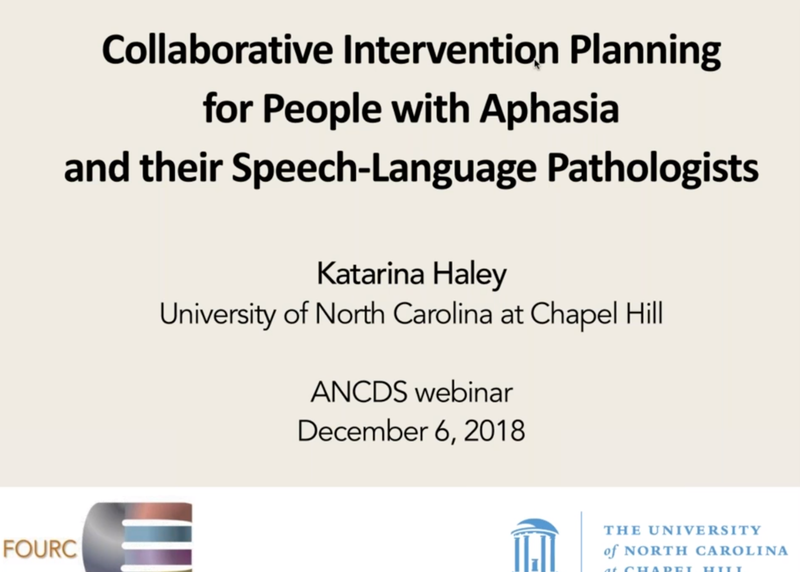 Katarina Haley, Ph.D., CCC-SLP, is Associate Professor at the University of North Carolina at Chapel Hill and an experienced Speech-Language Pathologist. Her research and clinical interests are in the areas of client-centered practice with adults who have acquired neurologic communication disorders and in the clinical management of aphasia and apraxia of speech. Dr. Haley receives salary from the University of North Carolina at Chapel Hill. Dr. Haley receives royalties from Medbridge. Non-Financial: Dr. Haley is a member of Aphasia Access. She is creator of the Life Interests and Values (LIV) Cards resource. CEU information is submitted to ASHA on a quarterly basis. Therefore, it may take several months for your course to show up on your ASHA transcript. If it has been more than 3 months since you took a course and you have not seen your course posted, please contact [email protected]uw.edu.